The bright, rich-color, 5-inch HD display, the accurate touchscreen, the long-lasting battery and decent camera modules give reason for joy... The main point of criticism is the inadequate internal storage of roughly 5 GB (net), especially since the smartphone does not support App2SD. If you're looking for a cheap phone that will do what you need it to  but not much else  the Desire 626 is worthy of your consideration. The Desire 626 is sadly let down by a camera which just isn't acceptable, especially if you dare to zoom. There's a number of highlights though, including the on-board help function is particularly good. It quickly guides you through any potential problems with a helpful interface. The HTC Desire 626 packs what is expected from an HTC smartphone, including a beautiful design and solid build quality, and an excellent software experience. Apart from a good camera, there are some disappointing flaws in other aspects, like performance and battery life, that let down what could have been a fantastic entry-level smartphone. There isn't anything about the phone that is done in an over the top manner, instead giving you a good starter phone that is solid across the board... While it is somewhat underpowered compared to other phones in the affordable smartphone market, the addition of HTC's Sense and BlinkFeed do make a pretty impressive difference. It's nothing special, but it's a starter device, and it's inexpensive enough that if it were to get lost or destroyed, it wouldn't break the bank to have it replaced. We won't deny that HTC has something tangible here for consumers who don't want to spend a fortune on their next phone and are looking for a good-looking handset, but we just expect better results everywhere to keep it in the same pedestal as some of the other prized options out there. Taken together with its lacklustre performance, the Desire 626 just doesn't do quite enough to rise above the rest of its mid-range competition. The HTC Desire 626 isn't the worst mid-range device we've reviewed, but it equally isn't the best either. The Desire 626 is billed as a mid-range phone, and ticks the right boxes regarding performance and capability, apart from its weak battery life. We feel that it's a good phone, but only if you can buy it for a good price. .....acts more like an entry-level handset than it does a midtier phone. This may be one of the best-looking phones you can buy for the price, but keep shopping for a faster, savvier device than the HTC Desire 626. The HTC Desire 626 is a decent stab at a phone that gets you a large, sharp-ish screen and decent performance for a reasonable price. The HTC Desire 626 offers a bright display, a sharp 8-MP camera and boldly colored designs, but its short battery life is a deal breaker. It runs on dated hardware and software, has poor battery life, and lacks features that are now expected, such as a capable camera. 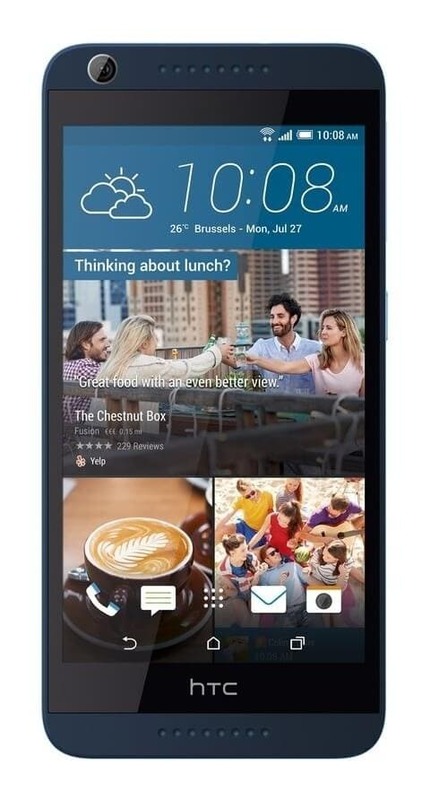 We simply cannot recommend the HTC Desire 626 Dual SIM. Every day, we search through thousands of tariffs and offers from UK online retailers to find the best HTC Desire 626 deals and contracts across a selection of price points and needs. Select 'Pay Monthly' if you're looking to get the HTC Desire 626 as part of a monthly contract with minutes, data and texts. Alternatively, choose 'No Contract' if you prefer to buy the HTC Desire 626 SIM Free or on Pay as You Go. Finding the perfect deal is easy. Just use the sliders to filter tariffs for minutes, data, monthly cost and upfront cost. You can also filter by network and retailer to find the best HTC Desire 626 deal for you! The cheapest contract price in this category is cheaper than buying the HTC Desire 626 SIM Free and a comparable SIM Only tariff by . You could save on the cheapest contract price in this category by buying the HTC Desire 626 SIM Free and a comparable SIM Only tariff separately.